Nine weeks to go. Your body is getting more comfortable with higher weekly mileage totals. Your mind is getting into the rhythm of running as a physical meditation. As the distance of your longer runs increase, do you tune in or tune out? We train to push the envelope of physical performance. Many people look at runners and don’t understand why someone would choose to voluntarily subject the body to so much discomfort… and there are endless reasons runners can give to explain why we do what we do. Through training, the body adapts to the stress it is subjected to in order to perform more efficiently under a greater range of conditions. Look back at your training. I guarantee that the way you felt after a 5 mile run during week 3 does not compare to how you would feel if you went and ran 5 miles today. It’s actually pretty amazing if you think about it. The right shoes are essential to a runner’s success. All running shoes are not created equal. Narrow heel cup, wide toe box, high arch, excessive pronator…. You may not know what all those things mean to you, but having the proper shoe is as important as building a house on a level foundation. Set yourself up for success by investing in a shoe that compliments your foot. Hot spots, blisters, calluses, and joint pain can be the result of poor sneaker fit. Recurring problems may be a sign that you need extra modifications, such as off-the-shelf or custom orthotics. If you end up with serious foot pain, you can’t run. You can’t train. You can’t race. You CAN avoid this by getting the proper footwear. Most shoes have a shelf life. Research and development has come a long way for running shoes. The majority of shoes use different densities of materials to cushion your body with each step. Over time, rubber and plastics break down and will not offer your body the same support. General consensus suggests you should retire your running shoes after 300 miles of training. That number can vary if you rotate shoes (have two pair of the same brand so you don’t use the same set on consecutive training days). The number is also affected if you use your running shoes for regular day-to-day footwear. I can hear runners everywhere gasping at that last statement as blasphemy. You can’t run a car on fumes, so why do you think your body should be any different. This is a topic for another day, but know the basics: your body needs the proper fuel to perform efficiently. There are certain foods (and drinks) that will help your body through your run. This is essential to (1) prevent you from passing out, (2) prevent you from hitting the wall, (3) prevent you from depleting your muscles and causing tissue damage, and (4) allowing your body to repair and recover after your race. I wish I could find the quote, but years ago, it was thought that unless you were going to run a race on your hands, there was no reason to train your upper body for running. Again, this is a topic for another day, but research is showing that cross training can make you more efficient and prevent injuries that could be a result from the repetitive stresses of running. Future blogs will address this topic. Yet another teaser for future blogs. 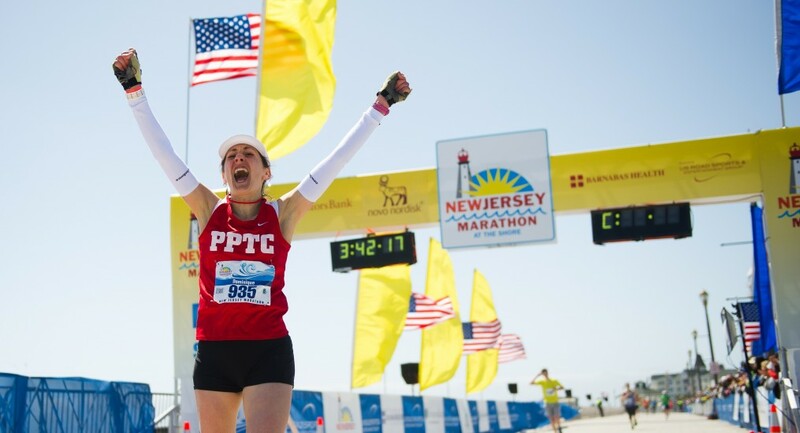 Your body can not go from couch potato to marathoner extraordinaire in 2 months. Getting back to the first point of this blog: it takes time for your body to adapt to the physical stresses of training. Our bodies break down and rebuild tissues every second of every day. With training, we use that remodeling to allow our body to adapt to greater intensities of activity. BUT… if your body can not recover and rebuild adequately between training episodes, then it becomes injured. With the right balance of running, rest, and cross training, you can reach your goals. And therein lies the art of all this madness… there is no one right way to get there, but hopefully these blogs will help you enjoy your path to the finish. This entry was posted in Training and tagged cross training, Marathon Training, Running advice, running shoes. Bookmark the permalink.